Is an Election the right solution? Mnagagwa and Moyo using Zimbabwean resources as family possession to fight their grudges. This does not surprise me at all for the culprit is obviously using them like chess pieces to fulfil his selfish agenda. Be careful when a leader shows favouritism among his followers. This is a common trait found in an abuser, dictator and even an oppressor. A dictator must not be voted out but must be imprisoned and that is the only solution. There are so many unexplained deaths for a dictator/abuser/oppressor to be innocent. In dictators' history book, there is no one who resigned but they were forced out. Why then wait for elections when there is so much evidence to imprison while wasting money that is scarce on elections? What is the purpose of an election? What are the criteria of choosing a leader? When considering a program, make sure they focus on the main skills you'll need to be successful, including the ones highlighted below. Why then wait for elections when there is so much evidence to imprison and why waste money that is not available on elections. They do not deserve that kind of respect. Listening to most of the speeches by Zanu PF ministers you wonder what criteria was used to decide them to run their respective office. What is the purpose of campaigning for office? A political campaign is an organized effort which seeks to influence the decision making process within a specific group. In democracies, political campaigns often refer to electoral campaigns, by which representatives are chosen or referendums are decided. 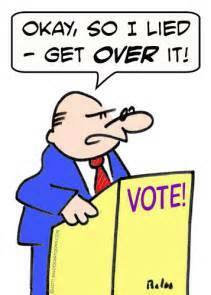 However if a candidate does not get elected they will not take the position campaigned for. How then does one influence a group of people who suffered injustice and oppression for 37 years to win the next election? In Zimbabwe there was a time when elections were done but the results were withheld until the whole world was tired of waiting and Zanu PF claimed victory. Yet still the same that failed before is expected to change the dynamics of both Zimbabwe and culprit- Zanu PF even when recorded speeches are showing us nothing has changed but have actually become worse because there is now too much arrogance mixed with stupidity. Elections are reasonable way of showing who has much support when dealing with civilised opponents. However, in Zimbabwe this has failed because of deep rooted corruptions. We also know the manipulations, intimidation and restrictions imposed on the majority living under poor conditions who either willing or unwilling sell their votes for a one single meal. Let's be fair, if we were all in that predicament would we not do the same. However, there is so much that can be done to change this dynamics if we give thoughts to this predicament. I think the problem is we are using outdated strategies on Zanu PF leaders who now can see for who they really are, barbaric, (gandanga) ruthless and old school. They are like Smith regime even though he looks like he was better now because of time and less populations and will not relinquish power because we asked them to or demonstrated enough. Where in the history of Mugabe's 37 year regime have we seen him change his mind because people demonstrated. I am not belittling this effort because it's better than doing nothing but we are dealing with a dictator beyond the norm. If we are demonstrating against other nations supporting Mugabe regime, yes that will work but that man has never been moved by any demonstrations. If at all he changed strategy after demolitions it was because he felt and see it as his advantage. That's the man we are dealing with. The better we see it as a reality the better it is for us to have any form of victory. My worry is if we continue doing the same and expect that to change the situation, some vital people might burn out as a result of frustrations. This is 21 century! Let's put on our thinking caps on and do the maths. BVR: The Master Smoke Screen. I have been wondering all along how Zanu PF came to buy into the UNDP’s idea of a biometric voter registration system. I got my answers recently through further reading on the topic. Prior to my desktop research, Zanu PF’s acceptance of the proposal by UNDP and their spirited effort to fund it on their own was so un-Zanu PF. It still is so un-Zanu PF. It is so uncharacteristic of Zanu PF! This brings me to the master question. Why now? You and I are both in for a huge surprise. It is so uncharacteristic of Zanu PF to pioneer such changes if they do not in any way bring immediate benefits. If you recall so well BVR was so topical towards the 2013 elections with many opposition MPs lobbying for it. Notable figures who lobbied for it are Tongai Matutu, Pishai Muchauraya, Nelson Chamisa, and many other progressive like-minded politicians. The idea, despite its worthiness, never saw the light of day. There is no doubt that Zimbabwe needs BVR for it to assure its policy of transparency of its political system. The BVR system will require to be deployed over a period of time. Certain antecedents have to be met before the BVR can be deployed. Key of which are the training of both personnel and the policy for it to be a success. I concur with T.E. Mwanyisa, Biometric voter registration: A case for Zim towards 2018 (Zimbabwe Independent: 12 February 2017) that “ZEC has to take into account capacity building. It is essential to design a system that falls within the skills set of the country. Almost all of Africa is buying skills; skills transfer is low and lost from election to election”. As I write we are left with less than 13 months to polls and no awareness campaigns have yet kicked off. ZEC is silent on progress or challenges being faced thus far. I would like to think that this is no coincidence at all. It is all part of a master smoke screen. To lull all dissenting voices into thinking we are all on track whilst the Zanu PF machinery does what it does best; threatening innocent villagers into thinking that they are able to know who they voted for. Our political systems have done little to instil any confidence in the electoral process. As such it has bred an extensive culture of voter apathy. Zanu PF knows this and will capitalize on it. I have asked a couple of my friends back home on what they know so far about BVR. Save for a few articles in state run papers and independent papers no one knows what is going on in the works. I am not one to moot conspiracy theories but mark my words. We are in for a grand surprise come July 2018. Villagers will all vote for Zanu PF not because they want to, but because they have been told Zanu PF will know who they voted for. It has happened before and it is not so far below what Zanu PF can do. People have been coerced to attend rallies and bussed to venues or risk being evicted from their homes or lose limbs before. The propaganda machinery in the form of Green bombers has been resuscitated. This time around they are being dished residential stands for their efforts to thwart any and all opposition ambitions. I don’t profess to know so much about planning. 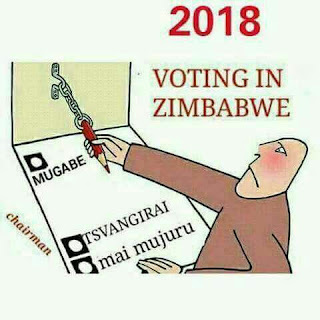 Given the limited time we have towards polls the I would have thought that by now the voter register should have been in the works and that a massive awareness campaign should have reached all four corners of Zimbabwe. We should all be asking ourselves questions on what information is filtering to the ordinary man on the street or village of Zimbabwe. My informed opinion is that BVR will be used as a smoke screen to rig the 2018 elections. 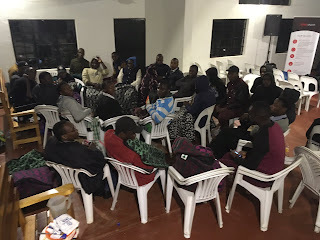 Last night I was distressed by the videos of the Medical Students who were beaten up and arrested for expressing their concern for the tuition fees that had been increased by 30 % from $700 per semester. It was the manner in which the random and disproportionate use of force was applied to the group of young people who then began to disperse. 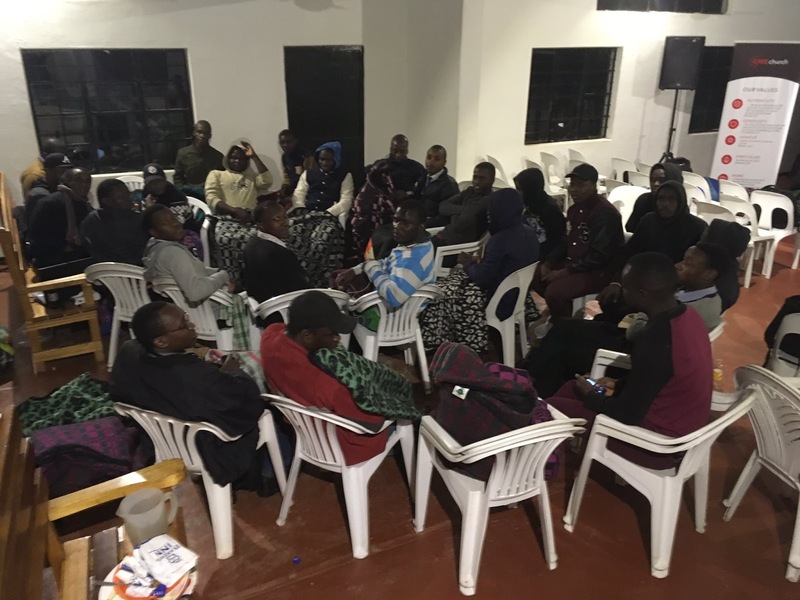 These are healers in the making and I was hurt by the pain and the resolve in the voice of the lone speaker who urged his colleagues to stay and not to run away. “Uber STAND your ground” he bellowed. It made little difference. As Zimbabweans living in Diaspora we have the opportunity to stage demonstrations which are not disrupted by any agents of the civil service serving the interest of a government that is intolerant to constructive criticism. We are never forced to run away or disperse. At times police presence is actually given in order to ensure safety and order as proceedings take place. Of course permits are applied for in advance just as in Zimbabwe. The difference though is that the granting of the same in my country of birth is arbitrary and fraught with favour and hindrances. To be honest an unjust law is worth ignoring as often many plans are never realised. People in Zimbabwe are frustrated at every point when trying to air a grievance to its own government. Political parties will attest to their own experiences too and yet no event scheduled for and by the ruling party of ZANU PF’ is ever denied. Human Rights in Zimbabwe are not observed adequately. Human Rights Activists grow intolerant of this repression and even more so now as it is clear that election campaigning in Zimbabwe is in full swing. We see all the events of and by ZANU PF unhindered. We remain gravely concerned about the absence of news from other political parties and interested parties with alternative viewpoints who cannot market their messages to potential voters and supporters and are prevented from doing so just like the Medical Students. A system so intricately woven and bubby- trapped is in place to prevent Freedom of Speech and Association. Our resolve in Human Rights- Not for Profit organisations is to amplify these injustices. We will use conventional and unconventional methods because our task is like climbing a greasy pole. We will scale it even if it kills us. Over the next few weeks, it will be necessary to engage the minds of all those who will hear about every single right that is provided for in the United Nations Declaration of Human Rights to which Zimbabwe is a signatory. Being Zimbabwean and patriotic does not mean keeping quiet, or colluding with blatant injustices. Being Zimbabwean does not mean accepting the disruption of anyone’s education because of an unreasonable escalation of tuition fees. Being Zimbabwean means being affected and moved enough to make enough noise about any injustice experienced or observed and expect a mature and reasonable response no matter where in the world one speaks from. Being truly Zimbabwean means accepting and appreciating the fact that we are one and this situation belongs to us. It is clearly getting worse not better. The healers should not be persecuted. No one should be forced to sleep outside in the middle of a Zimbabwean winter because they have been evicted from their University. If I am distressed by this, please leave me be. I have a 17 year old son who could easily be one of them. 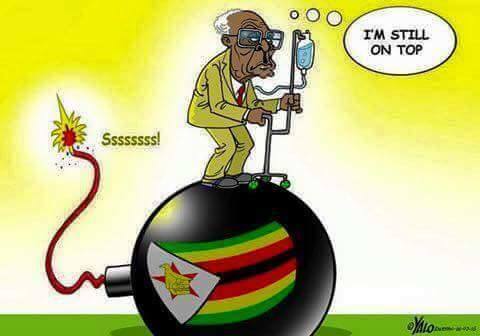 He is strong- headed and were he in Zimbabwe, I could have done nothing to tear him away from such a protest. Zimbabweans, our friends and our associates must and should continue to raise voices in defence of the citizens in our country who are being persecuted and unjustly treated. We all need to healers. We need our Medical students to return to their studies and make good our health system which is literally on life support. Robert Mugabe is the President of Zimbabwe. Grace Mugabe is the First Lady. Their influence can be felt in virtually all parts of the state where they have strategically placed their relatives in positions of authority. There are some well-known names, but the majority are not as well-known. They just eat quietly, courtesy of their high level connections. The Mugabes' daughter, Bona Mugabe has recently been appointed to 2 boards of state institutions, the Censorship Board and the new Empower Bank. This is the first of bigger things to come. Bona's husband, Simba Chikore was appointed last year as Chief Operating Officer at Air Zimbabwe, the struggling national airline. Simba Chikore's brother, Derrick is part of a consortium involving the multinational company, Trafigura and its Zimbabwean subsidiary, Sakunda, which was corruptly awarded a ZESA tender to build a diesel power plant at Dema. Patrick Zhuwao is the Minister of Youth, Indigenisation and Empowerment - he is Mugabe's nephew, his mother, Sabina was Mugabe's sister. Sabina was buried at the National Heroes Acre. Walter Chidhakwa is the Minister of Mines. He is also related to Mugabe through his mother's side. The Deputy Commissioner General of the Zimbabwe Republic Police, Innocent Matibiri, is Mugabe's nephew. 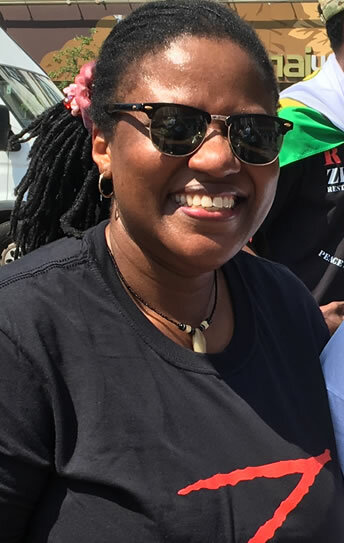 Sydney Gata is a former head of ZESA, the power utility. He is Mugabe's brother-in-law, being married to Regina, Mugabe's only surviving sister from his father's second wife. The head of ZINARA, the national roads utility, Albert Mugabe is Mugabe's nephew - his father, Albert was Mugabe's brother from his father's second wife. Mugabe also has another nephew, Michael Mugabe, at the National Prosecution Authority where he's a Chief Law Officer. With Tomana under fire, he could soon rise through the ranks to occupy a more senior role while Mugabe rules. Mike Bimha and Joey Bimha are brothers, the former is the Minister of Industry and Commerce and the other is a senior diplomat and permanent secretary in the Foreign Affairs Ministry. Both are Grace Mugabe's close cousins. They come from the same village in Chikomba. Grace Mugabe's cousin, Ruth, is married to Supa Mandiwanzira, who is the Minister of ICT. Grace and Ruth's mothers were close relatives. The National Building Society is a subsidiary of NSSA, the state-owned national insurance body. Its former Chairman, Garmaliel Bwanya, is Grace Mugabe's cousin. His sister, Ruth, is Supa Mandiwanzira's wife. Grace Mugabe also has a niece at the Zimbabwe Anti Corruption Commission (ZACC). Her name is Farai Mashonganyika and she is one of the Commissioners. Her mother and Grace were sisters. Maxwell Ranga is Zimbabwe's ambassador to India. He is an uncle to Grace Mugabe. His father and Grace's mother were siblings. 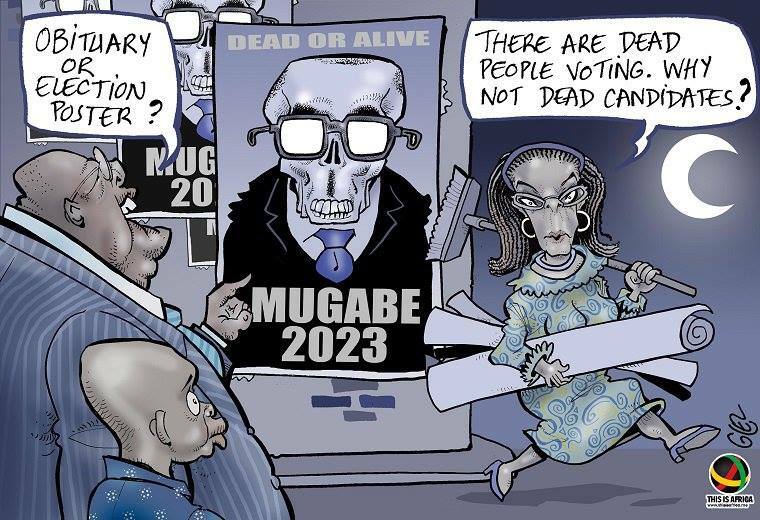 Leo Mugabe appears to have fallen out of favour in recent years. At his peak in the 1990s, he was Chairman of ZIFA, the football association and owned a business that was awarded several lucrative tenders including a tender to construct a new airport terminal in Harare. Another of Mugabe's nephews, Innocent was a director in the CIO until his death nearly 20 years ago. 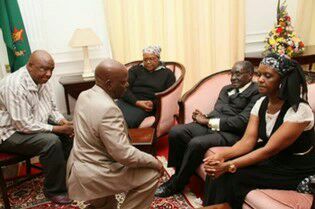 He was Sabina Mugabe's son and therefore a brother to both Leo Mugabe and PatrickZhuwao. Reward Marufu, Grace Mugabe's elder brother was a senior officer in the CIO and a diplomat who at one time was stationed in Canada. It has also been said that Mugabe is related to Ignatius Chombo, the Minister of Home Affairs and ZANU PF's Secretary for Administration. This is just what is known.